How much money do you save each month? 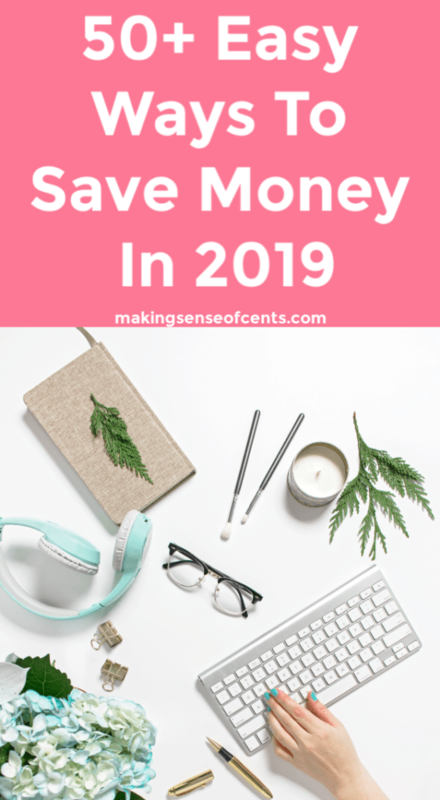 Do you wish you had some more money saving tips for 2019? If you're looking for some of the best money saving tips, then you've come to the right place! 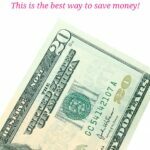 There are many ways to learn how to save money, and today I'm going to tell you about them. 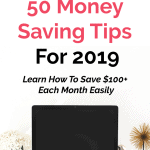 I am often asked for my best money saving tips from people who are having a difficult time saving money, and there are often many saving tips that I can help them with. This is because it can sometimes be very difficult to see where you are wasting and/or spending too much money. Often what is obvious to one, may be hard for another to notice. Even if you're already taking part in some of the best ways to save money, if you could just find a few more saving tips (or as many as you can! ), you may be able to improve your financial situation so that you can live your dream life. Pay off your debt quicker. Live off of one income. Go on your dream vacation. 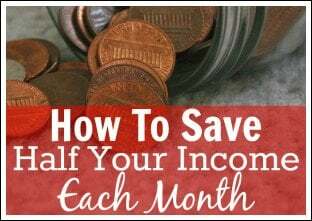 Today, we are going to talk about over 50 of the best ways to save money, and these money saving tips will help you save more or make more money each month. I believe that learning new ways to make money and save money can completely change your life, and it’s something we can all get better at. If you do all of the saving tips I list below, you may be able to save hundreds or thousands of dollars each year. Remember, even saving a little at a time can add up to a lot of money! 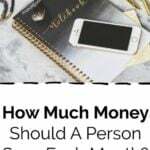 How Much Should A Person Save Each Month? Find a more extreme way to save money. I'm sure we’ve all done some super embarrassing things to save money. I know that I have, haha! 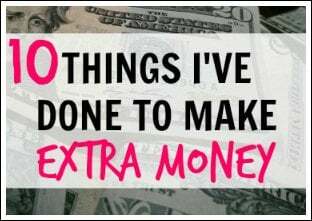 I recommend reading 60+ Extreme Things People Have Done To Save Money to see some of the most interesting money saving tips used by personal finance experts. 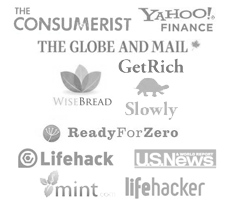 That list also includes some of the extreme saving tips my readers have told me about. Shave your head. This is a great way for men (and women!) to simplify hair care and cut down on the cost of it. Cut your own hair. Hair cuts are extremely expensive, especially if you get your hair colored too. Instead of spending money at the salon, I now let Wes cut my hair, and he does a great job! Fill your name brand cereal box with an off brand. If your family says they “need” brand name cereal, then this is one of the saving tips that might help you out. Plus, I bet they will never know! Dumpster dive for free food. This is super extreme, but there are a lot of people out there who save money on food this way. You might be surprised how much food restaurants and grocery stores throw away. Move your whole family into your parent’s basement. Owning or renting a house can be extremely expensive, but I know many people who live with family while they are paying off their debt. Make your own toilet paper. By cutting up things like old t-shirts, you can make your own toilet paper. This may sound like one of the most extreme saving tips, but it will help you save money. Freeze water bottles instead of using the AC. Not only will this help you save money on cooling costs, it’s good for the environment. Bring your lunch to work. Does bringing your lunch to work actually save you money? I read an interesting statistic that said Americans, on average, spend around $3,000 a year on lunches. That is a mix of eating out and eating in when at work. That is a lot of money. And, if you’re not careful and aware of your spending, that’s an area that can creep up on you and lead to something disastrous, such as credit card debt. And, that's the thing about buying lunch at work– it’s a small purchase that doesn’t seem like it would add up to much. But, bringing lunch to work is one of the best ways to save money and has the potential to save the average person at least $100 a month. To take part in this money saving tip, you can start by looking at these tasty budget lunch ideas. Another easy way to start bringing your lunch to work is by making an extra serving or two at dinner and packing the leftovers away for lunches. The average monthly cable bill is over $100. By the year 2020 (that's only a year away! ), the average cable bill is expected to be around $200 a month. If you are looking for money saving tips that will change your life, no longer paying for TV is one of my top tips. You can read more about cutting cable here and how to save money by doing this. I recommend getting a digital antenna so that you can receive local channels for free! We don't pay for any form of TV, not even Netflix! This isn’t just one of the best ways to save money, it’s helping us simplify and enjoy life even more. However, if you aren’t ready to quit paying for TV all together, there are lots of options that allow you to only pay, usually much less than cable, for the shows you want. Sometimes, in order to save money, you may have to spend a little. According to The Water Project, the average person in the U.S. spends around $100 per year on bottled water. Instead of spending $100 on bottled water each year, you can probably drink the water from your own home. You can even buy a water filter if you want to. Note: Yes, I realize there are some towns where the water is not clean enough to drink and that water needs to be bought, but that is not the average person. Take part in a savings challenge. The $20 Savings Challenge is one of the best ways to save money because this is one of the funnest money saving tips I’ll talk about. It’s very easy and starts you on a path to saving more money without even noticing! All you have to do is save $20 each week for a year, which easily adds up to a savings of $1,040. Right now is a great time to start this savings challenge. And, it’ll make saving money just a little more enjoyable. Sign up for The $20 Savings Challenge here. Digit is an app that allows you to easily save money, and I'm sure you'll love it! With the Digit savings app, you link up your bank account to Digit, then every few days Digit looks at your income and spending habits to see how much you could possibly save. Digit then automatically moves money from your checking account to a Digit savings account. Each transfer averages around $18, but it could be higher or lower depending on your individual situation. You can read more about this money saving tip in my Digit review here. Simplify your life and go minimalist. Trying to manage your life, especially your financial life, can be difficult in today’s age. Between learning about money saving tips, planning for retirement, paying bills, raising a family, etc. life can be exhausting. And, we all have a lot of clutter in our life– not just physical, mental as well! By living a minimalist lifestyle, you can learn how to be happier, be in more control of your life, waste less of your valuable time, and more. All of this will allow you to enjoy life even more! Learning to be more organized. Spending less time on social media. Paying expenses annually or semiannually. Decluttering and maybe even downsizing. Learn more at Are You Making Your Life Difficult? 18 Ideas To Simplify Your Life in 2018. This isn’t a way to cut expenses, but there are many ways that a blog can help you save more money. A blog can encourage you to keep track of your finances, introduce you to others interested in saving more, and help you make extra money. 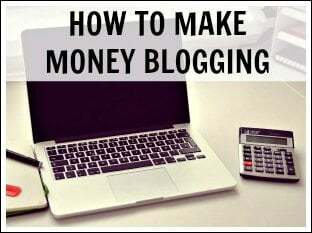 I know many people who have started a blog and are making thousands of dollars a month. Many have also left their day jobs to work from home. 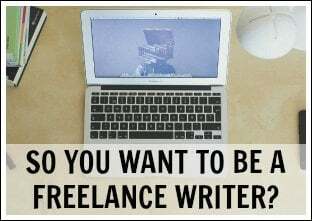 No, it's not easy work, but it can be well worth it if you decide to become a full-time blogger and enjoy it. I now earn around $100,000 a month from my blog. I also travel full-time and am happier than ever! If you are interested in starting a blog of your own, I created a tutorial that will help you start a blog of your own for cheap, starting at only $2.95 per month for blog hosting (this low price is only through my link and for a limited time). In addition to the low pricing, you will receive a free blog domain (a $15 value). I also have a free blogging course you can join to help you start and launch a successful blog! This may not seem like the most obvious of the saving tips I’ll talk about because investing means you will have to put some of your money out there to start earning more and saving. But, investing now will help you become prepared for retirement, and it may even help you retire early. Investing is easier and easier these days, and you can start investing with very little money. This is one of the best ways to save for your future, and I definitely recommend that you get started sooner than later. Think before you make a big purchase. This may sound like one of the simpler money saving tips I’ll mention, but it can be difficult for some. Really, we have all experienced that regretful feeling after making a large purchase when we realize that we have made a huge mistake. You may be mad at yourself for wasting money, you may realize it will add to your debt, and more. Perhaps you don’t realize for months or years later, but you eventually understand what a waste of money the item was. What else is the item going to cost? What else could I spend this amount of money on? Can the large purchase wait 24 hours? Can I borrow the item from someone instead of buying it? Do I actually need this? This is one of the best ways to save money that will help you for years to come, especially after you get in the habit of asking yourself those questions. You can read more at 11 Things To Ask For A Regret Free Spending Decision. Stop paying to see your credit score. Some companies will charge you for your credit score, and some people even pay for this on a monthly basis. The truth, though, is that you can receive your credit score for free a few times a year. It never hurts to check your credit score, and you have no reason to be unaware of your credit score. Your credit score can affect whether or not you are approved for a loan, whether you are hired at certain jobs, your interest rate, and more. It’s relatively easy to raise your credit score, which makes it one of the best ways to save money. Knowing your credit score is something you should do today! Plus, with Credit Sesame you can check your credit score for free, which is the first step to improving your credit score. There is absolutely no need to pay for your credit score. You can also receive one free annual credit report from the three main credit bureaus (Equifax, TransUnion, and Experian). Yes, this means that you get one from EACH, so three per year. I recommend spacing them out so you get one every four months. You can read more about this here. Go on almost free vacations just by using your credit card. One of my favorite money saving tips is to get bonus points and cash back on my credit card purchases. In 2018, me and my husband earned over $5,000 just by using our credit cards like we normally would. We put all of our expenses on our credit cards, completely pay them off each month, and earn free rewards points and cash back. Plus, did you know that you can take a 10 day trip to Hawaii for just $22.40? Yes, it’s possible! For more information on this vacation money saving tip, I recommend reading How To Take A 10 Day Trip To Hawaii For $22.40 – Flights & Accommodations Included. To make this one of the best ways to save money, you will need to be good with credit cards. If you aren’t, then there are plenty of other money saving tips to take part in. Everyone has a birthday, and you may be able to score a lot of free birthday stuff by simply showing your birth date on your driver’s license or by signing up for a company’s email club to receive a coupon for your birthday. This is one of the super easy money saving tips, as it’s easy and free for everyone! Here are 31 Birthday Freebies You Should Sign Up For. Meal plan as one of the best ways to save money. Meal planning is one of the saving tips that has completely changed our lives. We eat healthier than ever, we are saving money, and we have less food waste. If you have trouble eating at home and want to learn how to eat healthier home cooked meals while saving money fast, then try out $5 Meal Plan. They send meal plans directly to your email. It’s only $5 a month, and you get meal plans sent straight to you along with the exact shopping list you need in order to create the meals. Each meal costs around $2 or less per person. This allows you to save time because you won’t have to meal plan anymore, and it will save you money as well! If you are interested in joining for free, click here. Switch to a more affordable cell phone plan. Most people overpay for their cell phone plan. Cell phone bills can easily cost over $100 per month, and if you have a family, then you may be paying a few hundred dollars per month. Once you find a provider you like, it can be hard to switch. But, once you know how much you can save with another company while still having great service, this is a no brainer. If you are looking for a more affordable cell phone plan, then check out Republic Wireless. They have monthly cell phone plans for as low as $15 per month. I have several family members who are now using Republic Wireless and they love it! Please read Saving Over $2,000 A Year With Republic Wireless Review for more information. Quit smoking (one of the best ways to save money that will also save your life). According to the American Lung Association, tobacco kills nearly 500,000 people in the U.S. each year and costs the U.S. $333 billion per year in healthcare expenses. Smoking cigarettes can lead to many harmful side effects, such as lung cancer, heart disease, and many other medical problems. I know and understand this problem because my father (who I was extremely close to) passed away from lung and brain cancer in 2008. He was an extremely healthy man, except for his serious smoking problem. We tried for a very long time to get him to stop, and it's something I will always regret not trying hard enough for. Due to this, I have never smoked a cigarette in my life, and I never will. There are just too many harmful effects of smoking. Not only is it extremely unhealthy, it is also quite expensive. According to Business Insider, cigarettes can cost around $5 in states such as Kentucky, and they may cost as much as $15 in New York. If you smoke a pack a day, that can be as much as $450 a month. Another interesting statistic: According to GlassDoor, smokers earn an average of 20% less than non-smokers. Due to all of the above, one of the most important money saving tips that I like to tell others is to STOP SMOKING! Budgets help people manage their money better. It’s that simple. Budgets are great and one of the best ways to save money because they keep you mindful of your income and expenses. 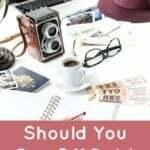 With a budget, you will know exactly how much you can spend in a category each month, how much you have to work with, what spending areas need to be evaluated, among other things. You can download a free budget printable here. Budgets have helped people reach their goals, pay off debt, make more money, retire, and more. This is one of the saving tips that will completely change your financial life. Learn more at The Complete Budgeting Guide: How To Create A Budget That Works. Find ways to work from home. There are tons of work from home jobs that already exist. With the kind of technology we have in today’s world, there are more and more jobs online, and this trend is expected to continue well into the future. I now work from home and learning to do so has allowed me to travel full-time, which I love! Some work from home jobs involve working for someone else, or you may be able to even start your own business. 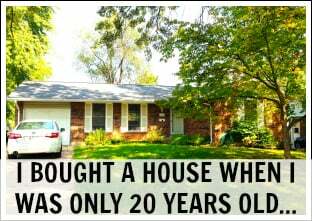 And, yes, you can even earn a full-time income from home. Sell on Amazon. Jessica Larrew, of The Selling Family, explains how selling on Amazon may be a possibility for you. She is a friend of mine, and I am blown away by her success! In the first year that Jessica’s family ran their Amazon FBA business together, working less than 20 hours a week total, they made over $100,000 profit! Jessica also has a FREE 7 day course that will teach you everything you need to know in order to start selling on Amazon. I recommend signing up for it now! 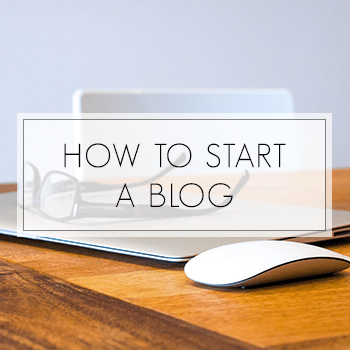 Start a blog. 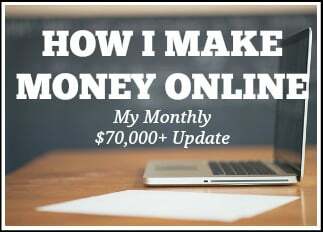 I created Making Sense of Cents almost seven years ago, and since then, I have earned over $3,000,000 with my blog and around $1,500,000 in just 2017 alone. Blogging changed my life for the better, and it allows me to earn thousands of dollars a month, all by doing something that I love. You can take my free How To Start a Blog course here. Teach English to earn money from home. VIPKID is a company that allows you to work from home, create your own schedule, and earn $18-21 per hour (many teachers are earning over $1,000 per month) all while teaching English online. Become a virtual assistant to earn money online. 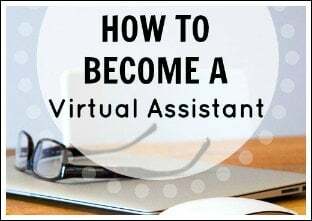 Virtual assistant tasks may include social media management, formatting and editing content, scheduling appointments or travel, email management, and more. Basically, you can get paid to do any task that needs to be done in someone’s business, but doesn’t need to be done by them. Learn more at Make Money Online as a Virtual Assistant. Pick up trash. Brian makes a living (it's a $650,000+ per year business for him) by picking up trash. If you're looking to make some extra money, then this may be a side hustle option for you to look into. Learn more at Get Paid $30 – $50 Per Hour To Pick Up Trash. 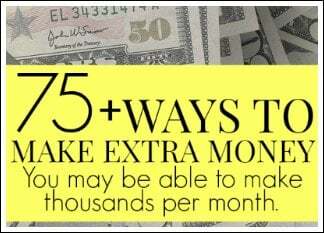 Learn more at 12 Work From Home Jobs That Can Earn You $1,000+ Each Month. Drive a more affordable car. According to Edmunds.com, the average person in the U.S. spends $483 on a new car payment and $361 on a used car payment. This is sad when you consider that many people also take out high-interest loans in order to pay for their car. Back when my husband worked in new car sales, he often told me about new car buyers who had car loans at interest rates of 20% and above. While $483 a month may be affordable to some, I’m going to assume that it’s a lot of money for most people. Plus, once you add in gas, maintenance, insurance, taxes, registration costs, and more, that number is going to be much higher. I think everyone should buy a car that they can actually afford. I am a big believer that your car expenses should be less than 10-15% of your monthly income in order for it to be affordable. Learning to have fun saving money is always a good idea, and it makes the saving tips I’m talking about more enjoyable. So many people get tired of paying off debt and saving money because it can feel so monotonous or they just lack the motivation. This is why I believe one of the best ways to save money is to learn how to make saving money fun. This can help keep you motivated and interested in saving money. Take part in the $20 Savings Challenge and easily save over $1,000. Create a challenge between you and someone else. You can turn it into a fun challenge between your friends, family members, or coworkers. Create a graphic that demonstrates your financial goal. An example of this would work for something like paying off your house. You could have a picture of a house and section it into 100 pieces. Then, each time you reach a small payoff goal, you can color a piece in. Make an inspiration board for what saving money and/or paying off debt will mean to you. You could have images of amazing places you want to visit, ideas about retirement, and more. Find ways to have frugal fun. Learn more at How To Make Saving Money Fun. A programmable thermostat is something you may want to invest in to save money this year. They are relatively affordable, and you will most likely make your money back within a year or maybe even just a few months. With a programmable thermostat, you can set the temperature at exactly what you want it to be for different times of the day. And, because it automatically changes on a schedule, you won’t have to constantly worry about it. For example, your AC will automatically turn up when you leave for work so that you don’t waste electricity or money heating or cooling an empty house. You can also program it for while you are sleeping, for the weekend, when you are on vacation, and so on. Programmable thermostats are one of the saving tips that is also good for environment, so it’s a win-win. I did a simple online search and was able to find plenty of programmable thermostats for less than $50, so well worth the small investment. Pay off your debt quickly. By paying off your debt quickly, you may be able to pay less in interest fees and free up your money to save for other financial goals, such as retirement. 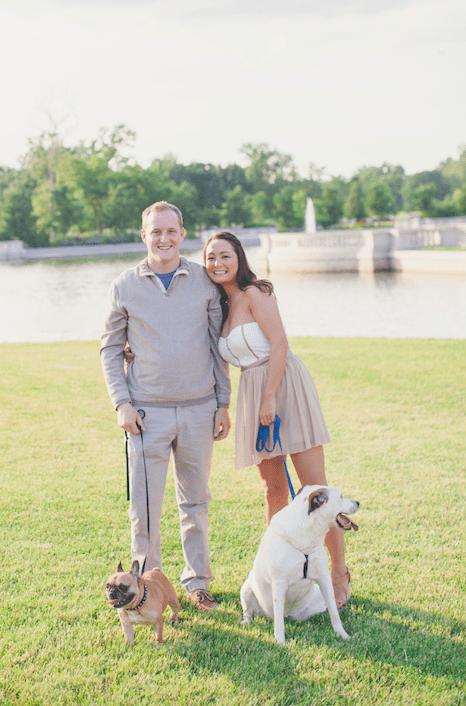 How We Paid Off $195,000 In Debt In 18 Months! Eat out one less time each month. How many times per month do you eat out? How much do you think you spend each month at restaurants? Most people are surprised when they actually sit down and track how much they’ve spent. A family of four can easily spend over $50 for dinner out, and if you do that multiple times per week, that’s hundreds of dollars that you could potentially save. Eating out just one less time each month is one of the best ways to save money, plus it will help you save a nice chunk of change over a one-year period. Cut back on your subscription services. Subscription services are a lot of fun, and they make it really easy to get just what you want delivered straight to you. And, there are subscription services for all sorts of things, like meal deliveries, clothes, streaming services, and more. The problem, however, is that when you add too many subscription services, you may find that you are spending way too much money. My saving tips for this one are to evaluate which subscription services you are using and then cut out the ones you no longer want or that cost you too much money. Learning how to save money on food and groceries doesn't have to be difficult. Planning your grocery trips better. Use this cell phone app for cash back on your groceries. Always shop with a grocery list. See if there are any sales for the items you are already buying. Use coupons when grocery shopping. Don’t grocery shop when you’re hungry. Skip the pre-made and pre-cut items. Sign up for a grocery store’s loyalty card. I highly recommend Credible for student loan refinancing so that you can save money on your student loan payments. 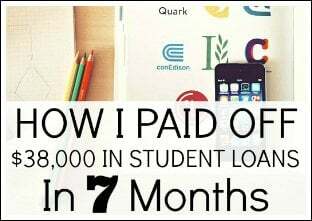 You can significantly lower the interest rate on your student loans with Credible, which may then help you shave thousands off your student loan bill over time. Through Credible, you may be able to refinance your student loans to a rate as low as 3.35%! Plus, it’s free to apply. This is one of the best ways to save money while you pay off your debt! Learn more at Credible Review – Refinance Your Student Loans And Save An Average Of $18,668. Gym memberships can be costly if you're not using them. If you're not getting the full value out of your gym membership, then you should cancel it ASAP. This is one of the easier money saving tips as canceling a membership is a monthly cost that you can get rid of completely! While it’s beneficial for some to pay for a gym membership, the majority of people do not get their money’s worth out of a gym membership. There are so many ways to get a good work out in that don’t require a gym membership. You can go for a bike ride, a hike, a long walk, and more. This is one of the best ways to save money that also lets you get outdoors and explore the world around you. Get rid of your car. I know some of you might be thinking that I’m crazy for including this as one of the saving tips, but getting rid of you car might actually be something you want to consider. Or, if you are a two car household, just going down to one car could be one of the best ways to save money in 2019. Buying getting rid of your car you will save money on gas, taxes, insurance, payments, maintenance, and more. You can still use ridesharing services like Uber (that link will give you $5 off your first ride) or Lyft if you need to get somewhere by car. We no longer have a car now that we are living on a sailboat, and we love it! We are getting in so much more exercise, and we are saving money in other ways too, like having to think through our purchases even more before we make them. Receive cash back on your purchases. Sign up for a website like Ebates where you can earn CASH BACK for just spending how you normally would online. Stores you can use Ebates at include Walmart, Target, Macy's, Amazon, Kohls, and more. This is another one of the best ways to save money because you're probably already shopping at one of their partner stores. The service is free too! Plus, when you sign up through my link and make your first purchase, you will also receive a free $10 cash back. This is one of the saving tips that might not be for everyone, but cutting just some meat out of your diet can be one of the best ways to save money this year. Now, you don’t have to go completely vegetarian or vegan, but you can do something like a meatless Monday or try having meat with just one meal a day. Not only will cutting meat out of your diet save you money, there are some studies that suggest it’s good for your health and the environment. Get rid of your storage unit. Nearly 10% of households rent a self-storage unit. However, many people don't really have a use for them– it's just unwanted clutter that people forget about and don't want to deal with, so they continue to pay that monthly cost. Instead, you should think about getting rid of your storage unit as one of the best ways to save money. If you want to change your life, then I recommend that you start reading personal finance books. Yes, money is not everything, but improving your financial situation is one of the saving tips that can help you gain control of your life. You can find the whole list of personal finance books I recommend here. Look for easy ways to save money on entertainment. Someone once told me how expensive it was to go out and have fun. They told me about all of their debt and everything that goes along with it, and they also told me that their monthly “fun” budget was around $500. Uhhh, what?! $500? A month?! If you are trying to get rid of high-interest rate debt, I can’t think of any reason why you should be paying $500 a month to have fun. All of that money can add up to a lot of stress! Cutting down your entertainment budget isn’t just one of the best saving tips, it is also one of the ways to simplify your life in the new year. There are many ways to have fun for less. Check out How To Have Frugal Fun for some of the best ways to save money while still having fun. One of the many easy money saving tips is to take online surveys. Taking online surveys isn’t really a way to cut back your budget, and you won’t get rich doing so. But, you may be able to earn money without doing much, and that money you make can easily be put into savings. I used to take online surveys pretty often, and it’s one of saving tips that helped me pay off my student loans, so I definitely recommend giving it a try. If you sign up for all of the companies I list below, you may be able to earn anywhere from $25 to $100+ a month by just taking surveys online. Survey companies I recommend include American Consumer Opinion, Survey Junkie, ProOpinion, Pinecone Research, Opinion Outpost, and Harris Poll Online. They’re free to join and free to use! You get paid to answer surveys and to test products. It’s best to sign up for as many as you can as that way you can receive the most surveys and make the most money. Negotiate your car and home insurance bills. Insurance is a necessary expense, but you may be paying for extras that are a waste of money. Or, you may be wasting money by not shopping around for better plans and lower prices. The average person does pay too much for various forms of insurance. It’s actually quite possible that you are currently paying too much for car insurance, so do something about it today! I know someone who has full coverage car insurance with a deductible on a car that is worth $500. I know someone who pays for towing even though their new car comes with free towing, and there are even more situations like this. A lot of this is because the average person doesn't fully understand how insurance works. However, it's something that you'll definitely want to learn about because it is one of the best ways to save money well into the future! Shopping around at different companies to see what other offers are out there. Evaluating whether or not you should change your deductible. Changing some of your coverage amounts. Possibly taking a driving class. I also recommend simply calling your insurance agent and asking for a discount, as many times they will offer a discount that will allow you to save money just for asking! This is one of the super easy money saving tips, as this phone call will probably only take a few minutes. A staycation is when you take a vacation by exploring the city you live in. This is one of the best ways to save money because it still involves going on a vacation. By taking a staycation, you will save money on airfare or other means of transportation, and you can even do it from the comfort of your own home. The idea of a staycation is to explore your area as a tourist would. You could make a list of all of the places around you that you’ve been meaning to explore, from parks, museums, restaurants, etc. I’m sure there are tons of things to do and places to visit that you have never had the chance to see before! This can be a great way to treat yourself as you’ll pretty much be on a vacation, but you’ll get to save more money than if you were to go on a “normal” vacation. Use an Airbnb for your next vacation. Ever since I first tried Airbnb (this will give you a $40+ Airbnb coupon code for your next stay), they have been my favorite way to travel. Airbnb offers short-term rental vacation homes in nearly every part of the world and for nearly every budget. Airbnb vacation home rates are usually comparable or cheaper than a hotel, plus you typically have more room. They will often come with a kitchen too, and that can help you save money on going out to eat while you are on vacation. Also, if you have a lot of people going on vacation with you, you can split a house for much less than it would cost for everyone to get a hotel room. Airbnb is my favorite way to travel, and we hardly ever stay in hotels anymore. This is also one of the best ways to save money for us because we are able to find Airbnbs that allow us to bring our dogs too, meaning they’re more comfortable as well. No dog has ever complained about having a backyard to run around in! Read my Airbnb review The Many Positives Of Using Airbnb Plus a Coupon Code For Your Next Vacation! Save money on your next vacation. Be flexible with your flight dates. A difference of just a day or two can sometimes save you over $100 per flight. For tourist destinations, travel in the mid or off season instead of the peak travel season. Stay in an Airbnb (mentioned above) for one of the best ways to save money while going on vacation. Ask for a discount at the hotel you are staying at. Buy groceries and eat out less (if you’re staying in an Airbnb, this is easy because many have kitchens). Related: How To Travel On a Budget. Your local library can be a great way to have fun without spending any money. You can check out the latest bestseller, a classic you’ve been wanting to read, or borrow movies, music, and more. There are actually a lot of libraries now who let you borrow things like cameras, GoPros, even telescopes, and more. This is definitely one of the best ways to save money as all you need is a library card. Don’t keep up with the Joneses. Another one of the best saving tips is to stop buying things to try and keep up with others. When trying to keep up with the Joneses, you might spend money you do not have. You might put expenses on credit cards to (in a pretend world) “afford” things. You might also buy things that you do not care about. The problems can go on and on. This can lead to an excessive amount of debt and potentially set you back years with your financial goals, if not decades. I truly believe that you are the only person you should be trying to make happy. Spending to impress others will only cause stress, and it’s not being true to who you really are. Instead, you should only purchase the things that you can afford and truly want. Really, who cares about what other people have?! Sign up for Swagbucks and InboxDollars. Swagbucks allows me to occasionally earn Amazon gift cards with very little work. 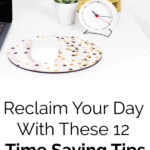 Yes, this is definitely one of the easiest money saving tips that you can take advantage of today. Swagbucks is just like using Google to do your online searches, except you get rewarded points for the things you do through their website. Then, when you have enough points, you can redeem them for cash, gift cards, and more. Plus, you’ll receive a free $5 bonus just for signing up today! InboxDollars is an online rewards website that I also recommend. You can earn cash by taking surveys, playing games, shopping online, searching the web, redeeming grocery coupons, and more. Also, by signing up through my link, you will receive $5 for free just by signing up! Gambling at the casino and playing the lottery are both risky moves, and both of these things can cost you a ton of money. My money saving tips for this section is to either stop gambling entirely or know your stopping point and stick to it. In the U.S. alone, people lose over $100 billion gambling each year (that doesn't even include money lost playing the lottery). And, according to Bloomberg, the average person who plays the lottery in the U.S. not only spends around $300 a year on lottery tickets, they also lose approximately $0.40 for every $1 in tickets purchased. While I have gambled before (probably less than $100 in my whole life), I have never really enjoyed it. It always just feels like I am throwing my money away, and that is not something I have any interest in doing. Unfortunately, I have seen people file bankruptcy after gambling too much, and that is why it is such a dangerous activity to get into. Gambling can be extremely risky, which most often makes it an unwise financial choice. However, if you choose to gamble, you should always know your stopping point, and you should be able to afford to lose the amount of money you are gambling with. Keep in mind that casinos exist for a reason– they are making money because people are losing money. An emergency fund is something I believe everyone should have, and this is one of the best ways to save money as it can help you greatly in the future. However, according to a report by Bankrate, 26% of Americans have no emergency fund whatsoever. According to this same report, only 40% of families have enough in savings to cover three months of expenses, with an even lower percentage having the recommended six months worth of savings. This is frightening to me, as this is one of the saving tips that will help you get through tough parts in life. An emergency fund can help you if you lose your job, if your hours are cut, if you have a surprise expense, and so on. Without an emergency fund, you may have to take out a loan, rely on credit cards, and more. And, all of those things can cost you a ton of money in the long run. Read more at The Ultimate Guide On Emergency Funds. Buy used as one of the best ways to save money. Purchasing used furniture, clothing, and more allows you to save money on the things you are already buying. You can sometimes even get items for free by seeing what friends, family, and neighbors are trying to get rid of, and you can even find free items listed on Craigslist or Facebook Marketplace. Trust me, people want to give away their stuff! It’s much easier than trying to find a place to donate things (some places actually have too many donations and have to say no), plus it can mean the person doesn’t have to haul it away. Finding a roommate is a way to save money. My husband and I have had roommates in the past, and while that’s not really as possible now that we live on a sailboat, I do recommend that anyone with an extra room in their house think about giving it a try. While renting a room in your house will not make you rich, this is one of the saving tips that may earn you a good amount of side income with little effort. If you are interested in renting out a spare room on a short-term basis (such as for vacations), I highly recommend that you check out Airbnb. I know people who are making thousands of dollars a month by renting out rooms on this website. Related blog post with more saving tips about this topic: A Complete Guide To Renting A Room For Extra Money. What are the best ways to save money that you know of? Do you have any saving tips to share? How much money do you save each month? Change Your Life By Saving Just $1 More Each Day – How Much Should A Person Save Each Month? Are you saying that people would be putting t-shirts down their drains on purpose? Some might. I’m related to some people who would read this and start cutting up the t-shirts, not thinking about the next step. Reading the entry, it isn’t obvious that the t-shirt TP is not meant to be disposable. We are the country where coffee cups have notices that the contents may be hot. I’m agree and on same things I’m quiet good in other I’m a constant work in progress into savings field!!! This is a heck of a list. I do many of the tips listed already. I need t try a few more of them. Really comprehensive post Michelle! I do a lot of these things (but none of the extreme ones!!) I would also add another great tip is to cut down on single use items – get reusable coffee pods and use metal straws instead of plastic disposable etc. These are amazing tips. I have bookmarked this article. Thanks! PREACH!!!! Yes girl yes! Thank you for all of the great tips! Another way is something you cut out (like a coffee, lunch, etc), take that amount of money you were going to spend on that and put it towards debt or savings. This is a great and comprehensive article, Michelle. I had no idea you can teach English online and make that much an hour. Thanks for sharing. I noticed you have a few affiliate links to survey companies in this post! 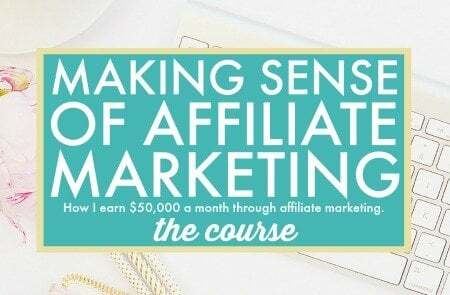 I was wondering how you initiated a relationship with those companies and became an affiliate marketer for them! Please share! Hi Michelle, I like your writing style. you always come up with the points that are helpful for everyone. Taking lunch on work and stop spending extra money on things which not necessarily required is what I do to save money. I also convince with your point of paying a debt on time as this will cause a long-term dent on your savings if not paid on time.